Someone else has to win once in a while ey? Yea, Starladder same thing. But could you argue the event is tier 1 if there's no Astralis? I mean, it is tier 1. Astralis is beyond tiers. Did starladder invite Astralis and they refused or they didn't even invite them? I think all tournemants invite the best teams. But astralis just dont accept it. I'm not trying to be toxic, I'm just stating a fact am I not? No, it is not a fact, it is an opinion of yours. It is pretty much a fact at this point but do what suits you. No. You´re bragging and it´s bad taste, disguised as generosity to other teams: "Look, now you have a chance to win". Dårlig stil !! Danes and Astralis fans will come off as assholes with such statements. Before you go ham like the other dude, learn to interpret a sentence. What I wrote, I wrote it jokingly but with a bit of truth to it. Now that Astralis isn't there other teams have a chance to prove themselves and maybe improve? I want other teams to win something, I don't like seeing teams being crushed while trying to achieve something. This has been said over and over again, and sure, it is good for the viewers of that particular event and for someone to just test out strats, but the less maps played against Astralis the less likely are you to find a way to break them. I don't like Liquid, I'm hoping for NIP or Navi. S1mple deserves a win with his insane performance. No one 'deserves' a win. Everyone has to earn it. I just hope Liquid get it because it'd be their first Premier event. Even so, it's 75 (NiP) - 25 (Liquid) for me when it comes to choosing between the two. Of course, it's earned but s1mple is dragging 4 bots with him so I would like to see him win something. Don't you think it's better for Na'Vi to get humiliated and go out early so they finally make roster changes? electronic is no BOT, he was the 4th best player in the world (over dupreeh LUL). But it's high time Zeus and Edward got axed. Think of it as a gain in the longer run. Jame and Boombl4? Maybe N0rb3r7. But Jame for sure. S1mple should not be the awper of NaVi, imo I think he is much better with a rifle, and Jame is good with AWP and IGL. Edward is just not good anymore... Makes dumb plays, seems like he has lost the knowledge of the game he had in 1.6 early CSGO. Maybe a player like boombl4 could fit yea, I would like to see a upcoming CIS player instead maybe. The blast pro matches were quite close, not sure that Astralis is at fault about you thinking it's boring. Not the final but still. Yeah, might be. They've been playing more relaxed in the ecs qualifiers I noticed. Picking their tourneys, seems like a Real good idea. They do because of scheduling, they like to pick events to participate at and chill instead of stressing around, allowing them to stay #1. Zonic said it himself. It’s not negative, it’s a very good idea. It’s not the only reason though, but nt. They also said that they either way wouldn’t attend all events after their stint once where they did, so it’s both things at once. Btw they are releasing news in Danish too, pretty sure you do not understand that language anyway. 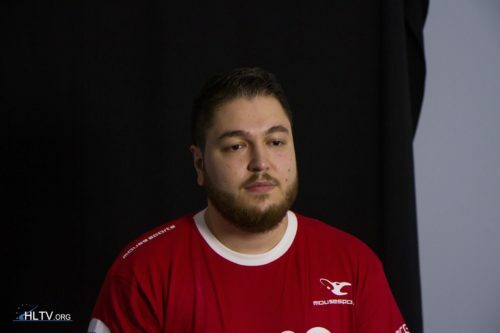 Many hltv users will probably still say that it is a boring tournament because of Astralis. The mere fact of Astralis' excistense makes CS boring to them (never mind that there are countless matches and tournaments that Astralis don't participate in).